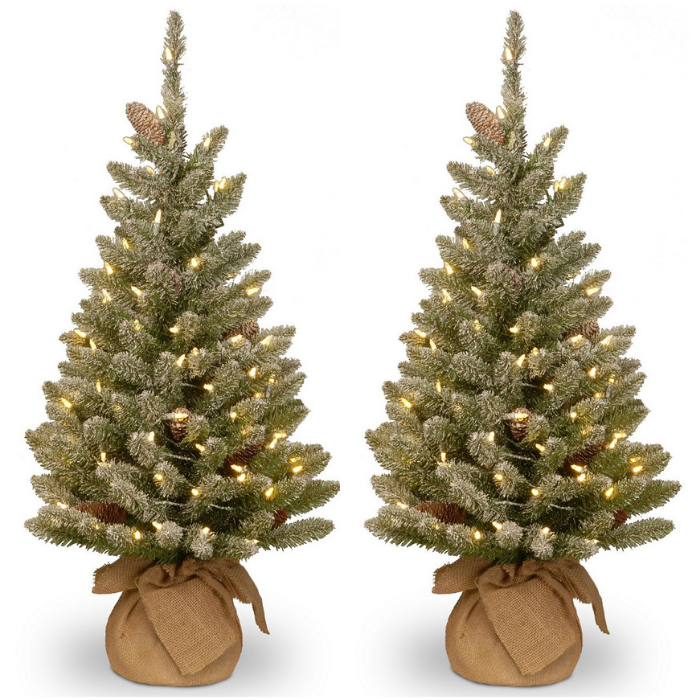 Snowy Fir Tree With LED Just $44.99! Down From $114! PLUS FREE Shipping! You are here: Home / Great Deals / Christmas Deals / Snowy Fir Tree With LED Just $44.99! Down From $114! PLUS FREE Shipping! At only 3 ft. tall, the Snowy Concolor Fir tree is great for tabletop display or for adding holiday cheer to children’s or secondary room. This tree features a downswept design with snow sprinkled branch tips and snow touched pine cones. It is pre-lit with 50 energy-efficient and long lasting warm white LED lights. Battery operation allows display options that don’t require a nearby electrical socket. Integrated 6 hours ON/18 hours OFF lights timer included. Indoor or covered outdoor use.